Our Capital Area Reads project encourages communities to read and discuss a selected title, then meet the author. Sixteen-year-old Starr Carter moves between two worlds: the poor neighborhood where she lives and the fancy suburban prep school she attends. The uneasy balance between these worlds is shattered when Starr witnesses the fatal shooting of her childhood best friend Khalil at the hands of a police officer. Khalil was unarmed. Soon afterward, his death is a national headline. Some are calling him a thug, maybe even a drug dealer and a gangbanger. Protesters are taking to the streets in Khalil's name. Some cops and the local drug lord try to intimidate Starr and her family. What everyone wants to know is: what really went down that night? And the only person alive who can answer that is Starr. But what Starr does, or does not, say could upend her community. It could also endanger her life. Check out or download a copy today. 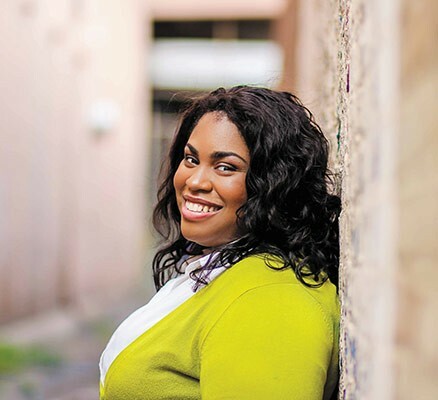 Angie Thomas was born, raised, and still resides in Jackson, Mississippi. 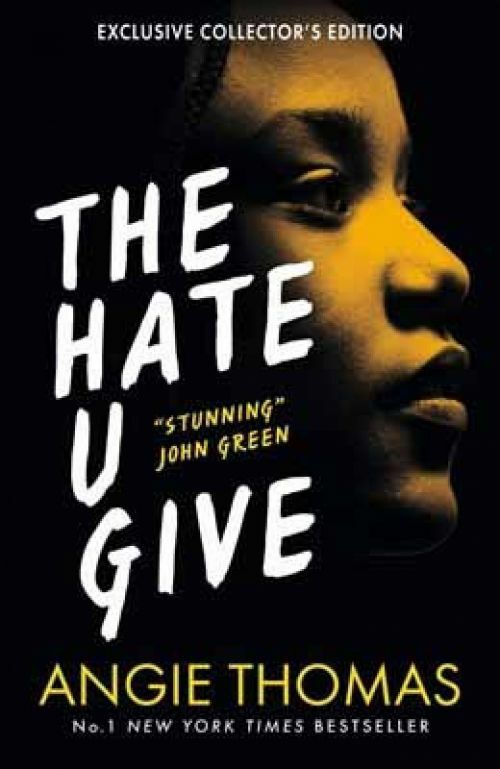 Her debut novel The Hate U Give was a #1 New York Times Bestseller. The New York Times and Entertainment Weekly both called it required reading. Film rights were optioned by Fox 2000 and Temple Hill Productions and released October 19, 2018. Thomas released her second novel, On the Come Up in February. Thomas holds a BFA in Creative Writing from Belhaven University and an unofficial degree in Hip Hop. She is an inaugural winner of the Walter Dean Myers Grant 2015, awarded by We Need Diverse Books. Thomas is a former teen rapper whose greatest accomplishment was an article about her in Right-On Magazine with a picture included. Author photo credit: Anissa Photography. CADL will host book discussions for adults at many of our branches. Our selection specialists have compiled a list of recommended books and movies that explore similar themes. These special events relate to the themes explored in The Hate U Give. Most seating is on a first-come basis; those marked with an asterisk require registration. The Gilmore Car Museum presents the true story behind the Green Book, a guide that helped black travelers find safe and welcoming accommodations and restaurants during the height of segregation. See the film and join a discussion of The Class Divide, a documentary that explores racism and systemic inequality in education. Hosted by Truth, Racial Healing, and Transformation of Metro Lansing (a Kellogg Foundation project). 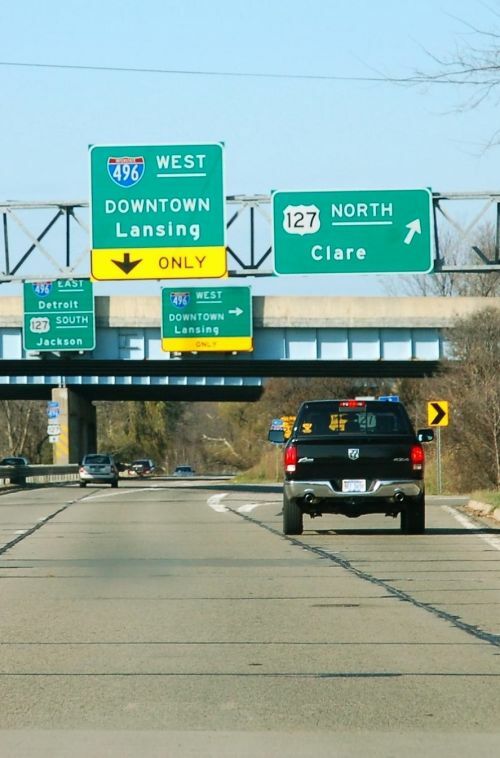 MSU Professor John Aerni-Flessner will tell the stories of homeowners affected by “urban renewal” and the process of redlining in Lansing, focusing on the construction of Interstate 496 from 1963–1970. Researching African-American ancestry can be a tremendous struggle but also very rewarding. Get helpful resources, tips, and pitfalls to avoid. Michigan State Professor John Aerni-Flessner will discuss Malcolm X’s early life in Michigan and the impact it had on his beliefs. Dance troupe 61syx will be here to perform and then teach some cool hip-hop moves. Check out special events offered by Delta Township District Library. The critically-acclaimed film based on the book is rated PG-13 for mature themes, violence and language. The running time is 2 hours and 15 minutes, with seating on a first-come basis.